“To the city of Chicago, my beloved bears fans and NFL fans everywhere… The time has come to move on from playing the game of football. It has been an incredible journey for myself and my entire family and we can’t thank you enough for your continued support. I would love more than anything to step on Soldier Field one last time but I physically cannot give the game and our fans what they deserve. It’s difficult to find words to express my love and gratitude to every single person that has cheered my name, picked me up and stood strong with me throughout my time in this league. I am forever grateful. At one point, he was one of Jay Cutler’s most-trusted weapons, coming down with an iconic one-handed touchdown to beat the Chargers in primetime back in 2015. He also caught Cutler’s final touchdown pass as a member of the Bears in 2016. Not only did the touchdown get inexplicably overturned, but Miller also suffered an injury that nearly resulted in the amputation of his leg. It would end up being the final play of Miller’s career. 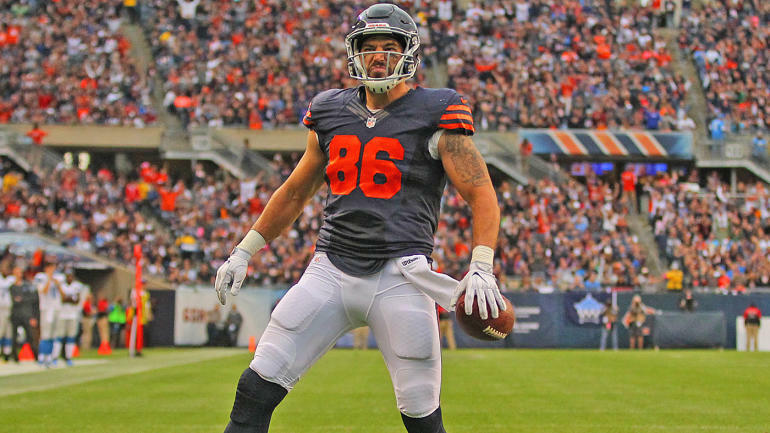 Miller departs the Bears and the NFL as a tight end who could never quite live up to this potential on the field — almost entirely due to circumstances outside of his control — but more importantly, as a universally respected player who managed to overcome a tragic injury to live a normal life.